As part of our commitment to ensuring your satisfaction as well as listening to your needs, Glendale Dental Wellness Center wants to help you achieve a smile that you’re proud to show off to friends and family. Just because your oral health is in order doesn’t necessarily mean you are happy with the way your smile looks! 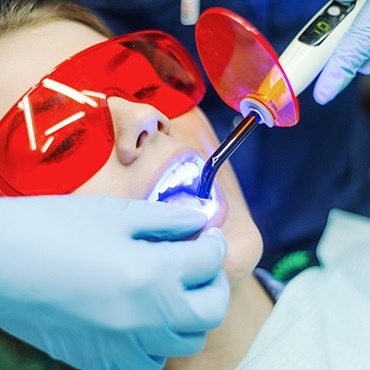 Whether you want to remove subtle stains or completely transform your teeth, Dr. Sue and his team will make your process as comfortable and thorough as possible. Contact our office today to start your new smile journey! 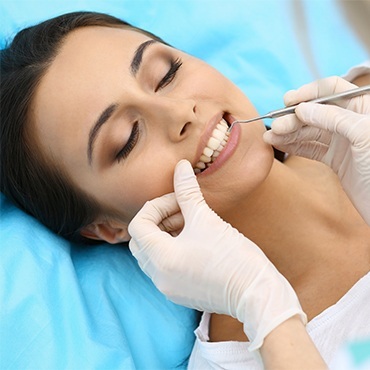 Why Choose Glendale Dental Wellness Center for Cosmetic Dentistry? Make your smile bright again with durable, custom-made veneers! Dr. Sue offers porcelain veneers to address common dental flaws and improve the overall appearance of your smile. Whether your teeth are uneven or you’re unhappy with stains and chips, veneers can correct flaws and make you fall in love with your smile again. Your teeth will look and feel natural, and you can eat and speak as you usually do. Veneers are stain-resistant, and you care for them like your natural teeth, using a high-quality toothpaste and a soft toothbrush to keep your veneers in great condition. You also need to floss between your teeth daily to prevent tooth decay. Whether you need to fill a cavity or cover a damaged tooth, our metal-free restorations are sure to protect your tooth while effectively blending in with the rest of your smile. Tooth-colored fillings and all-ceramic crowns ensure that your teeth stay healthy for many years to come. Thanks to their biocompatibility, your metal-free restoration will integrate naturally with your existing tooth structure. Making your natural teeth last while still looking the way you want them to is our highest priority. In many cases, patients would prefer to fix minor imperfections to their smile while still keeping the overall cost of treatment relatively low. 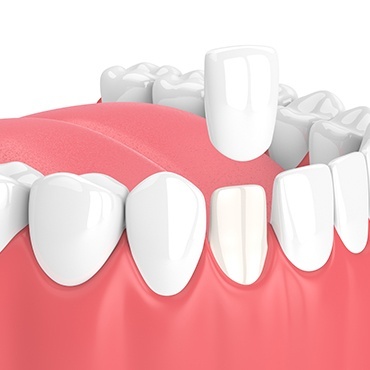 Direct bonding is a perfect solution to hiding cosmetic issues, including chips, cracks and even gaps in between teeth. The material used is known as composite resin and is the same material used with tooth-colored fillings. Since the resin is color-matched to your existing teeth, you don’t have to worry about it effectively blending in with your smile! Dr. Sue can create a custom whitening treatment plan to help you achieve brighter, whiter teeth that make you want to show off your smile. By choosing professional dental whitening services, you can ensure your teeth and gums are well-protected from the whitening agents. 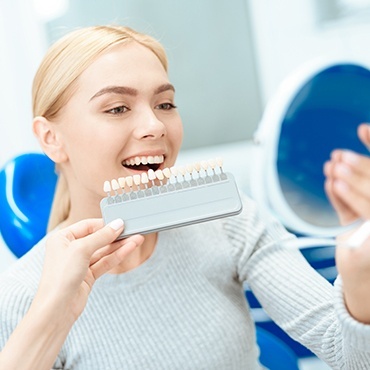 Mistakes can be made with home whitening treatments, and improper use of these products can cause increased sensitivity or tooth and gum damage. Professional whitening services also offer much better results than off-the-shelf whitening products. Dr. Sue can achieve whitening results that are up to eight shades whiter than your natural teeth using the ZOOM! Whitening system. ZOOM! 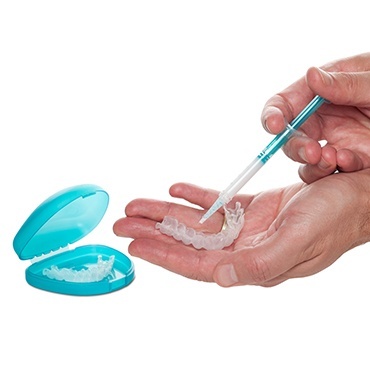 uses an activated gel and LED light to gently break up the stains on your teeth without damaging your overall oral health. If you’d prefer to take advantage of professional whitening solutions on your own time, you’ll find much to gain from NiteWhite and DayWhite take-home whitening kits! These custom-made oral trays and bleaching gels allow you to gradually whiten teeth over a two-week period, rather than have whitening performed in the office. 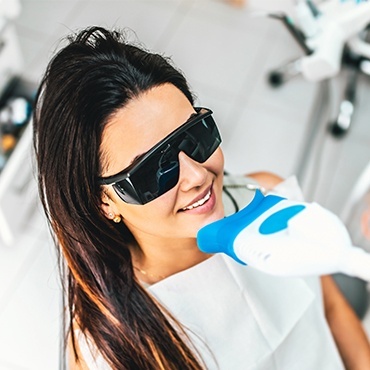 By wearing them as directed, typically for about 30 minutes a day, you can expect the same levels of whitening you’d expect from a single in-office whitening treatment. Cosmetic dental services are not exclusive to the teeth. Dr. Sue can also remove excess gum tissue that creates a “gummy smile,” therefore revealing more of the patient’s beautiful, natural teeth in the process. Gum recontouring (also known as crown lengthening) can showcase natural tooth enamel and give you more confidence to smile in the process. He can also balance uneven areas of gum tissue to make your smile look more uniform throughout. Part of establishing a strong and mutually enjoyable doctor-patient relationship is clear communication. 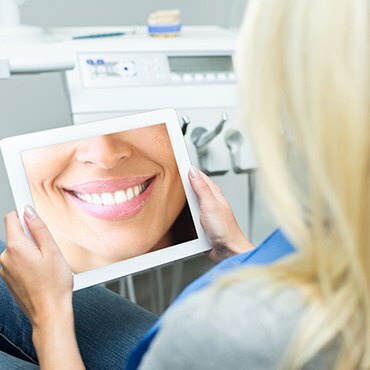 With the help of advanced digital imaging/virtual smile design technology, we can provide a preview of what your smile will look like before you begin treatment. With this technology, we can showcase what your new appearance will be following teeth whitening, porcelain veneers, or even ClearCorrect! Many people want to straighten teeth, but may not necessarily want to undergo treatment via a series of metal brackets and wires. Alternatively, patients should consider ClearCorrect clear aligners to solve mild to moderate levels of misalignment and crowding teeth. Each series is custom-made for your unique case, ensuring that it effectively shifts teeth effectively and more quickly than traditional methods. 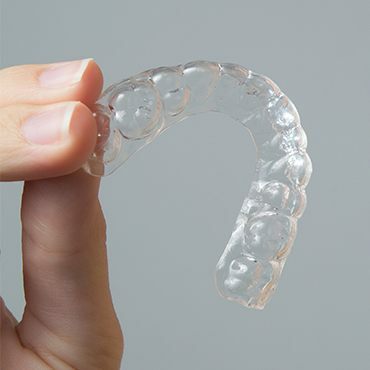 Simply wear each pair of aligners for a set period of time, then move on to the next pair in your series. In about 8 to 18 months, you’ll have a smile that can be proudly shown off!